5% discount when you order online with Free Delivery. 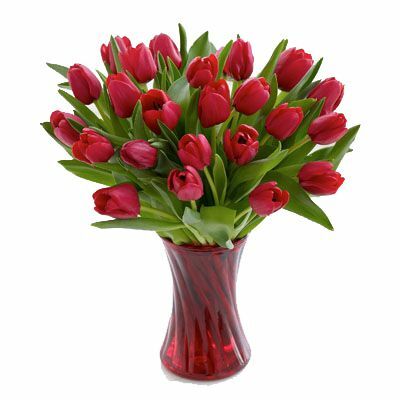 A gorgeous bouquet of 24 red tulips beautifully presented in a glass vase together with luxury foliage and a romantic gift message card. A gorgeous bouquet of 24 red tulips beautifully presented in a glass vase together with luxury foliage and a romantic gift message card. 5% online discount and free delivery in our flower delivery areas including Braintree, Witham Chelmsford, Great Leighs, Great Notley, Black Notley, White Notley, Great Baddow, Cressing, Silver End, Kelvedon, Feering, Tiptree, Great Braxted, Great Totham, Maldon, Little Baddow and Coggeshall and Danbury and surrounding towns and villages.